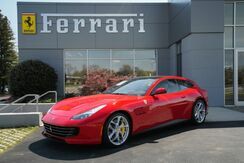 For more information please contact Foreign Cars Italia of Greensboro at 336-544-3686. 2017 Ferrari 488 Spider 3.9L Apple Carplay, Adaptive Headlight System, Carbon Fiber Steering Wheel w/LED, Colored Extra Carpets w/Logo, Colored Stitching, Embroidered Prancing Horse on Headrest, Rear Parking Camera, Front & Rear Parking Sensors, Front Suspension Lifter, Scuderia Ferrari Shields, 20"Forged Diamond Rims, Yellow Brake Calipers, Inn/Out Elettr.mirror+Homelink, Yellow Tachometer Counter. 2018 Ferrari 488 Spider 3.9L V8 Heat Insulating Windscreen, Blue Carbon Fibre, Adaptive Headlight System, Blu Brake Calipers, Blu Seat Belts, Carbon Fiber Central Bridge, Carbon Fiber Dashboard Inserts, Carbon Fiber Driver Zone w/LEDs, Carbon Fiber Rear Air Ducts, Carbon Fiber Side Air Splitter, Carbon Underdoor Cover, Colored Extra Carpets w/Logo, Daytona Inserts in Alcantara Cuoio, Daytona Style Seats, Embroidered Prancing Horse on Headrest Blue, Front & Rear Parking Cameras, Front & Rear Parking Sensors, Front Suspension Lifter, Full Electrical Seats, High Emotion Low Emission, Int/Ext Electrochromatic Mirrors, Scuderia Ferrari Shields, Special Stitching Filo Spciale Blu, Sport Exhaust System, Wheels: 20" x 9" Fr & 20" x 11" Rr Forged Dark Painted, Yellow Tachometer Counter. 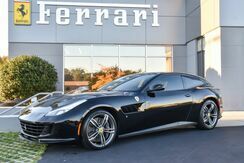 2018 Ferrari 812 Superfast V12 One owner clean carfax, Adaptive Front Lights + SBL, Carbon Fibre Wheel Cups, Carbon Fibre Driver Zone + LEDS, Carbon Fibre Central Bridge, Carbon Fibre Dashboard Inserts, Horse Stitched on Headrest Rosso, Coloured Special Stitching Filo Speciale Rosso, Coloured Inner Details Rosso Ferrari, Coloured Safety Belts Cinture Rot (Rosse), High Power HIFI System, Scuderia Ferrari Shields, Black Ceramic Exhaust Pipes, Colored Floor Mats w/Embroidered Logo, Rosso Corsa Brake Calipers, Wheels: 20" x 10" Fr & 20" x 11.5" Rr Dark Painted, White Rev Counter. 2018 Ferrari 488 Spider 3.9L V8 AFS System, Black Brake Calipers, Horse Stitched on Headrest, Titanium Exhaust Pipes, Coloured Mats with Logo, Scuderia Ferrari Shields, Front and Rear Parking Cameras, Front and REar Parking Sensors, 20" Forged Dark Painted Rims, Full Electric Seats, Premium HIFI System, Apple Carplay, Ferrari Histoical Colours Canna Di Fucile. Carbon Fibre Driver Zone+LEDS, Horse Stitched on Headrest in Bianco, Black Ceramic Exhaust Pipes, Coloured Mats with Logo, Passenger Display, Ferrari Shields, White Rev Counter, 20" Forged Dark Painted Rims, Ventilated Full Electric Seats, HIFI Audio System, Coloured Special Stitching Bianco 2000. 2017 Ferrari 488 Spider 3.9L V8 Aluminum Brake Calipers, Aluminum Tachometer Counter, Carbon Fiber Central Bridge, Carbon Fiber Dashboard Inserts, Carbon Fiber Driver Zone, Carbon Fiber Exterior Sill Kick, Carbon Fiber Steering Wheel w/LED, Colored Extra Carpets w/Logo, Colored Stitching, Embroidered Prancing Horse on Headrest, Ferrari Special Colors, Goldrake Racing Seats- Large, Parking Camera, Racing Seat Lifter, Scuderia Ferrari Shields, Wheels: 20" x 9" Fr & 20" x 11" Rr Forged Painted, White Tachometer Counter. 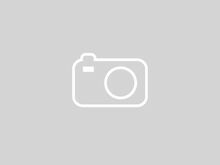 2018 Ferrari GTC4 Lusso T Turbocharged 8-Cylinder and rear wheel drive. AFS, Apple Carplay, Yellow Brake Calipers, Panoramic Roof, Front Grill with Chromed Edges, Horse Stitched on Headrest, Cloured Mats with Logo, Carb. Fib. Steering Wheel + LEDS, Ferrari Shields, Passenger Display, 20 Forged Painted Rims, Ventilated Full Electric Seats, Coloured Special Stitching. This is a fast, fun Ferrari to be shared. 2014 Ferrari California 4.3L V8 DI DOHC One owner clean carfax, HORSE STITCHED ON HEADREST, 20" Diamond-Finish Sport Alloy Wheels, AFS Advanced Frontlighting System Headlights, Brake Calipers in Red Color, Carbon Fiber Driving Zone, Carbon Fiber Driving Zone w/LED Steering Wheel, Carbon Fibre Steering Wheel w/LED Rev Display, Color Upon Request - Special Stitching, Cruise Control, Diamond Stitching Interior, Diamond Stitching Interior for Rear Seats, Exterior Sport Grilles, Front & Rear Parking Sensors, Handling Speciale Package, Interior & Exterior Electrochromatic Mirrors w/HomeLink System, Magnetorheological Shocks, Red Tachometer Display, Reverse Camera System, Scuderia Ferrari Shields On Fenders. 2009 Ferrari F430 Spider 4.3L V8 DOHC 40V Carbon Fibre Exterior Package, Underdoor Cover in Carbon Look, Alcantara Dashboard, White Rev Counter, 20" Forged Dark Painted Rims, Carbon Fibre Racing Seats, Soft Top Colour Nero, Coloured Special Stitching Filo Speciale Rosso, Alcantara Steering Wheel Arch Charcoal, Interior 3D Fabric Colour Rosso, Fire Extinguisher, Red Brake Calipers, Scuderia Ferrari Shields On Fenders. 2012 Ferrari 458 Spider 4.5L V8 DI DOHC Leather Central Tunnel, Leather Lower Tunnel, Daytona Seat Leather Stripes, 20" Sports Painted Alloy Wheels, AFS Advanced Frontlighting System Headlights, Brake Calipers in Red Color, Carbon Fiber Driving Zone w/LED Steering Wheel, Carbon Fiber Steering Wheel w/LED Rev Display, Cruise Control, Daytona Style for Seat, Full Electric Electrochromic Mirrors w/Memory, Full Electric Seats, Interior & Exterior Electrochromatic Mirrors, iPod Installation, Leather Upholstery for Headliner, Navigation System, Red Tachometer Display, Satellite Radio System, Scuderia Ferrari Shields On Fenders. 2016 Ferrari California T 3.9L V8 AFS Advanced Front lighting System, Color Upon Request - Leather Central Tunnel, Color Upon Request - Special Stitching, Daytona Style Front Seats, Giallo Modena Brake Calipers, Horse Stitched on Headrest, Infotainment Apple CarPlay, Interior/Exterior Electrochromatic Mirror & HomeLink, Magnaride Dual Mode Shock Absorber System, Scuderia Ferrari Shields, Sport Exhaust System, Wheels: Fr 20" x 8.5"/Rr 20" x 10.5" Forged Painted, Yellow Tachometer Counter. 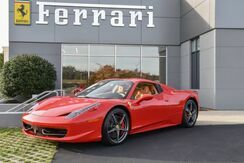 2015 Ferrari 458 Spider 4.5L V8 DI DOHC Alcantara Upholstery for Headliner, Alcantara Upholstery for Upper Zone, Brake Calipers in Modena Yellow Color, Carbon Fiber Steering Wheel w/LED Rev Display, Color Upon Request for Alcantara Central Tunnel, Color Upon Request for Alcantara Central Door Panel, Color Upon Request for Alcantara Lower Dashboard, Color Upon Request for Seat Piping, Color Upon Request for Special Stitching, Cruise Control, Electric Seats, Electric Steering Column, Embroidered Prancing Horse on Headrest, Exterior Carbon Fiber Sill Kick, Front & Rear Parking Sensors, Full Electric Seats, Interior & Exterior Electrochromatic Mirrors w/HomeLink System, Interior Electrochromatic Rearview Mirror w/Homelink System, iPod Connection, Navigation System, Rear Parking Camera, Satellite Radio Antenna, Scuderia Ferrari Shields On Fenders, Sport Exhaust Pipes, Wheels: Front 20" x 8.5"/Rear 20" x 10.5" Diamond Finish Forged Alloy, Yellow Tachometer Display. 2014 Ferrari 458 Italia 4.5L V8 DI DOHC 20" Grigio Ferro Metallic Forged Alloy Wheels, AFS Advanced Frontlighting System Headlights, Brake Calipers in Corsa Red Color, Carbon Fiber Dashboard Trim, Carbon Fiber Driving Zone w/LED Steering Wheel, Carbon Fiber Steering Wheel w/LED Rev Display, Carbon Fiber Upper Tunnel, Color Upon Request for Special Stitching, Cruise Control, Front & Rear Parking Sensors, Front Parking Lifter, Full Electric Electrochromic Mirrors w/Memory, Full Electric Seats, High-Power Premium Hi-Fi System, Interior & Exterior Electrochromatic Mirrors w/HomeLink System, iPod Installation, Leather & Alcantara Two-Color Interior w/Daytona Seats, Red Tachometer Display, Satellite Radio System, Scuderia Ferrari Shields On Fenders. 2011 Ferrari California 4.3L V8 Brake Calipers in Red Color, Carbon Fiber Driving Zone, Carbon Fiber Driving Zone w/LED Steering Wheel, Carbon Fibre Steering Wheel w/LED Rev Display, Center of Door Panel in Diamond Style Pattern, Color Upon Request - Seat Belts, Color Upon Request - Standard Stitching, Cruise Control, Diamond Stitching Interior, Dual Power Seat Adjusters, Exterior Electrochromic Mirrors, Front & Rear Parking Sensors, iPod Integration, Magneride Dual Mode Shock Absorber System, Red Tachometer Display, Scuderia Ferrari Shields On Fenders. 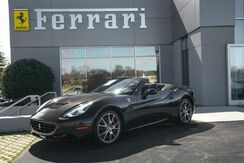 2015 Ferrari California T 3.9L V8 AFS Advanced Frontlighting System Headlights, Color Upon Request - Special Stitching, Daytona Style Front Seats, Daytona Style Rear Seat Trim, Driver's & Passenger's Footrest in Aluminum, Embroidered Prancing Horse on Headrest, Full Electric Seats, Heat-Insulating Windshield, Hi-Fi Premium Sound System, Inner Electrochromatic Rearview Mirror & Homelink, Magnaride Dual Mode Shock Absorber System, Red Rosso Corsa Brake Calipers, Yellow Tachometer. 2003 Ferrari 360 F1 Modena 3.8L V8 (This is not a gated six speed) Here is a nicely equipped 360 with all the options! Finished in Argento Nurburgring (Silver) over Nero (Black) full leather with Grigo (Silver) stitching throughout. This 360 is equipped HiFi sound, Powered Daytona Seats, Shields, Red Brake Calipers, Modular wheels, Challenge Grills front and rear and an awesome sounding Tubi exhaust system. The car has just been fully serviced and up todate with belts done as well. For more information please contact Foreign Cars Italia of Greensboro at 336-544-3686.